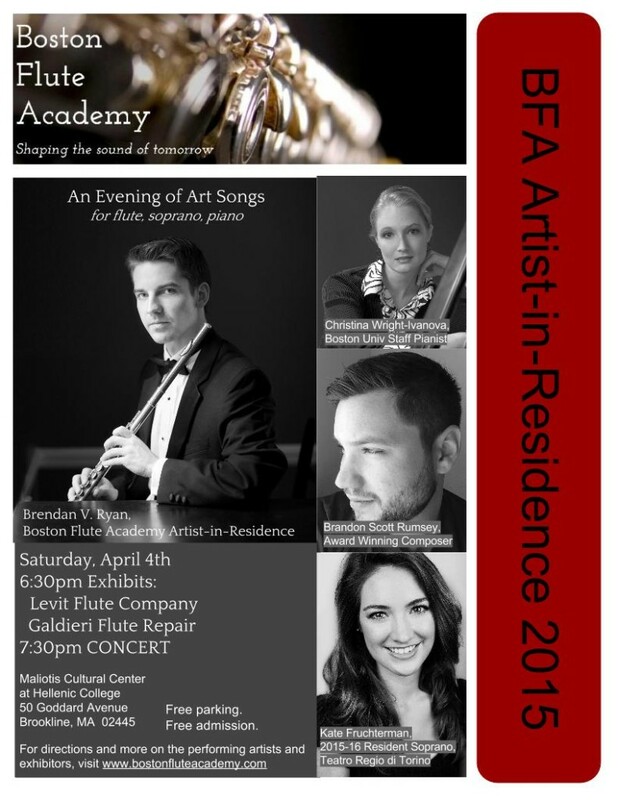 BFA Presented Artist-in-Residence Brendan Ryan: An Evening of Art Songs for Flute, Soprano, Piano to a packed house on Saturday, April 4th, 2015. What a huge turnout and beautiful night of music making! Many thanks to performers Brendan Ryan, Kate Fruchterman, Christina Wright-Ivanova, and composer Brandon Rumsey for his gorgeous new composition.